Day One – When a taxi driver says “that’s all I’ve got to say”, you know that there’s a lot more coming, so get comfortable. We sit helpless, knowing that only our arrival at Auckland airport can end this. It’s not that our contributions to this discourse are unwelcome; we just know that they’ll go unnoticed. We’ve tried to get back to the main road, but this former bus-driver insists he knows the best way to the airport. We’re about to board a 13 hour flight to San Francisco, so this exercise in enforced patience is perfect practice. 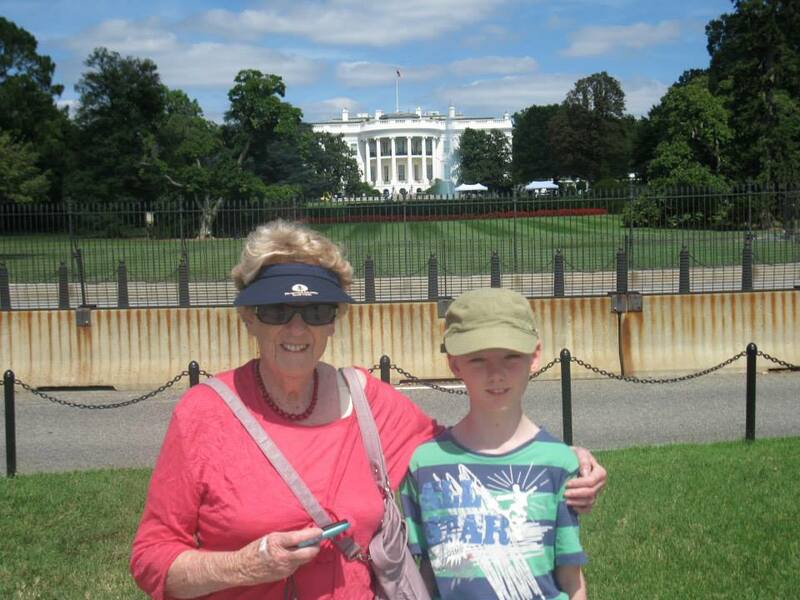 My travel companions on this trip are my mum (76), and my sons Dominic (8) and Sam (10). Mum has been wanting to take her grandkids to Disneyland since before they were born, probably since before I was born. It’s the boys’ first trip to the United States, and apart from a trip to Europe when Sam was 1, it’s their first experience of trying to sleep on overnight flights. 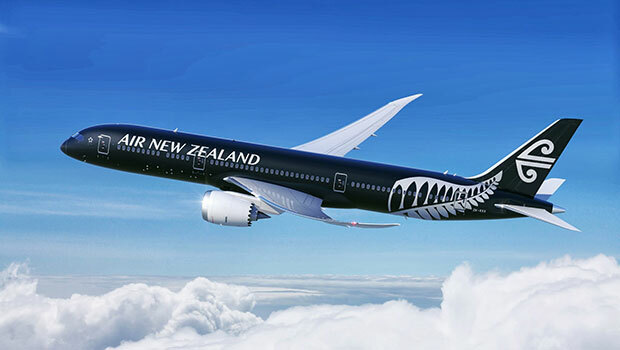 Air New Zealand – we get one of the new black ones! We farewell Mum at Auckland Airport – she has the Business Class lounge to look forward to. She’s earned that. The adventure of Economy Class awaits us. For thirteen hours…and that’s just the first leg across the Pacific. There are advantages to travelling with kids of my boys’ age. You know who you are going to be sitting next to for over half a day, and bad luck there can make a long flight seem endless. The boys also don’t take up too much room, and at their age, they’re unlikely to cry through the journey. As long as window seat allocation is agreed in advance, in writing, there’s every chance of getting through the flight without bloodshed. There are some seat demarcation issues between the boys, as Sam exercises his option as older brother over half of Dom’s seat, as well as his own. Dom isn’t keen on that arrangement and Sam’s feet are repeatedly pushed back to his zone. 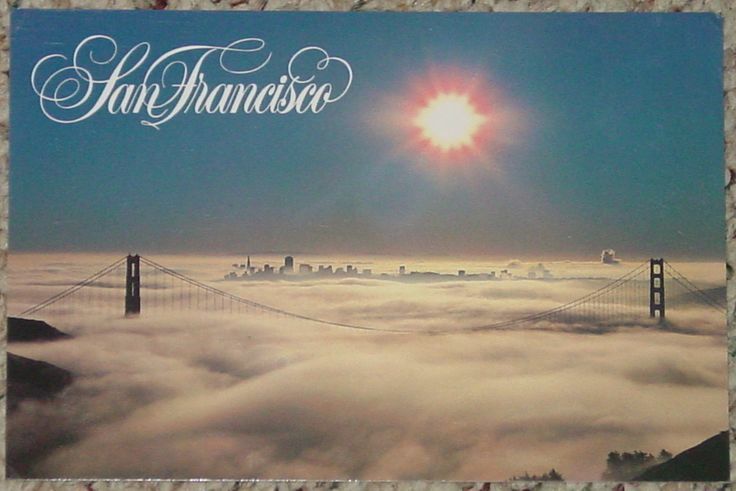 Eventually we all get some sleep – enough to arrive in San Francisco feeling in focus and ready for the next leg. 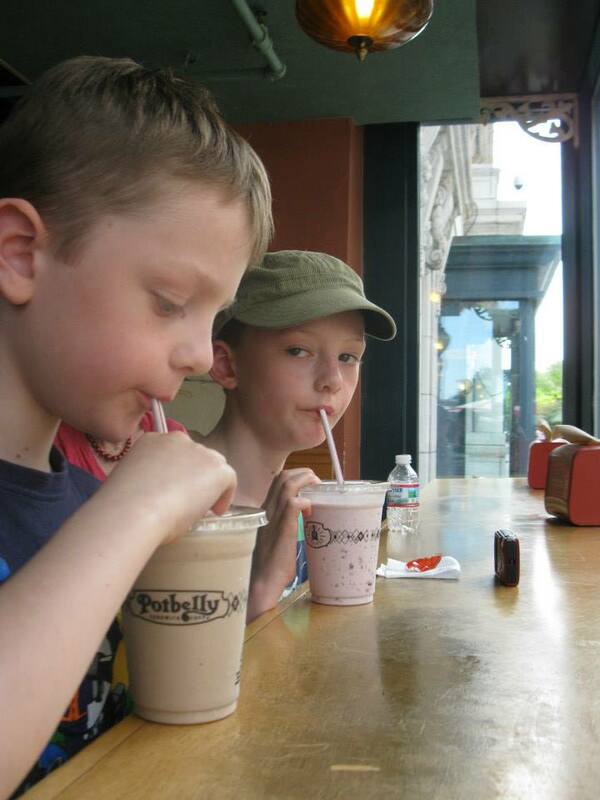 Between games of battleships, chess, tetris, and cartoons, the boys seem to be taking well to long-distance flights. We’re rapidly running out of time to make our connecting flight to Washington, and carrying Mum and both boys on my back seems the only way to get through the airport more quickly. As departure time gets closer, it’s getting a bit tense. I hear “Mrs Cold” by Kings of Convenience being played over the airport speakers, a fact disappointingly of no interest to anyone but me. Great song. The boys barely look up from their iPads during the five hour flight across the States. We’re on Virgin America for this one, so the games are different. One that we haven’t come across before is the ability to send messages to other seats. Dom tries to send me one, while sitting next to me, but accidentally sends it to the stranger dozing across the aisle. Even asleep he doesn’t look too friendly and Dom tries to hide behind me. We arrive in Washington late at night, and there’s a brief scare when our luggage takes an age to turn up. I’m convinced someone else has taken it, mistakenly thinking it was their own, but it eventually arrives. I track down our shuttle company and after a conversation that may have been Spanish with an American accent, or American with a Spanish accent, I give up and find the shuttle myself. I hadn’t thought of language barriers being a problem on this trip. It won’t be the last time. 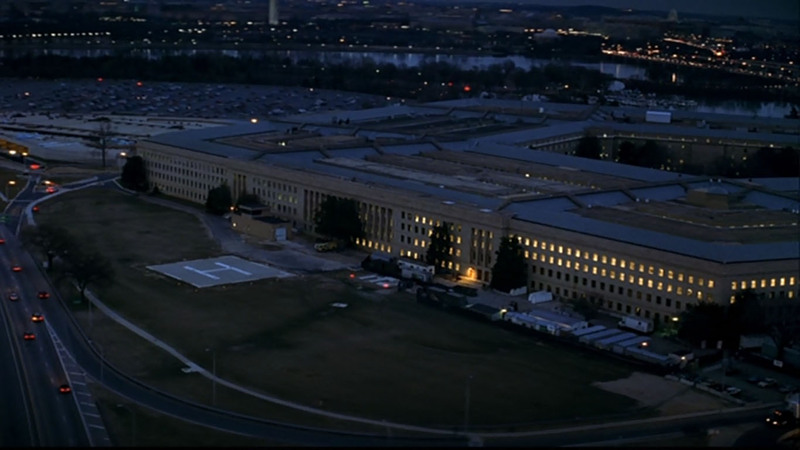 The Pentagon – the boys slept through it, but it looked like this..
It’s been a very long day, but when we unexpectedly pass the illuminated Pentagon, it’s the first time I see anything that I recognize. I have one boy on each side, both asleep leaning on me. It’s a proud Dad moment. Almost there…. Day Two – At our first Washington breakfast I receive a tap on the shoulder. Oh dear – what’s happened? We’ve been making waffles – have we broken some unwritten waffle etiquette? We’re strangers here. We barely speak the language. It’s one of the breakfast staff and fortunately she looks friendly. “I like your boots”. I’m quite proud of my boots, so the compliment is appreciated. Washington is off to a good start, and we haven’t finished breakfast yet. It’s time to leave the comforts of the Residence Inn, and hit the streets. And the golden rule when on American streets is: stick to the right. At least that’s the rule in countries where you drive on the right. It doesn’t take too many collisions to realise that walking on the left in the US is like swimming upstream. Similarly, standing on the left of an escalator is asking for trouble, but fortunately Washington at 11am is hardly rush hour. 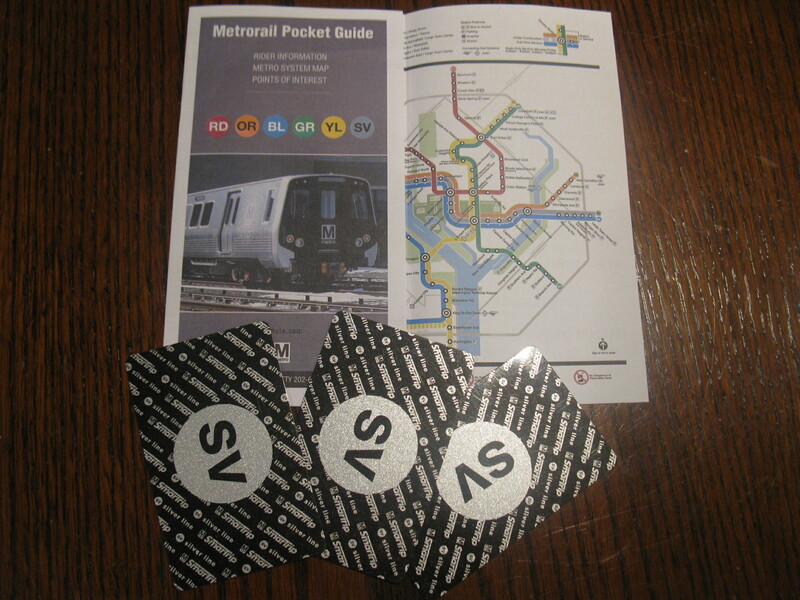 We buy our SmarTrip tickets and my boys experience a Metro system for the first time. 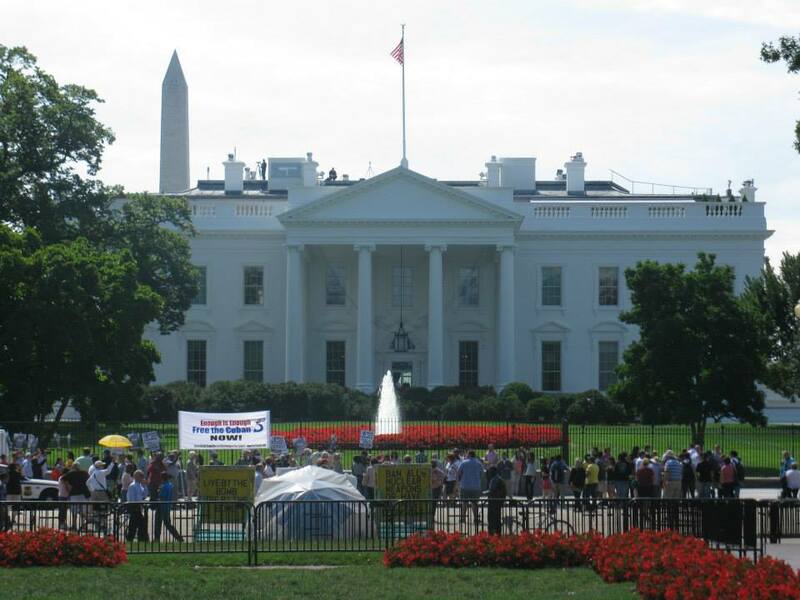 From McPherson Square, we walk to Lafayette Square and the back-end of the White House. Tourists are outnumbered by protesters, and the rooftop security look like they’ve seen it all before. White House – back door. Roof Security have a great view of Washington Monument but are looking the wrong way. Eisenhower Executive Office Building (EEOB). Mark Twain wasn’t a fan. The building next door looks interesting – built between 1871 and 1888, this is the Eisenhower Executive Office Building (or EEOB). Mark Twain described it as “the ugliest building in America.” and Harry Truman called it “the greatest monstrosity in America.” That seems a bit harsh, and Mark and Harry could have been more constructive in their criticism. It looks to me like it’s trying to be a cousin of the Louvre, which isn’t a bad ambition. 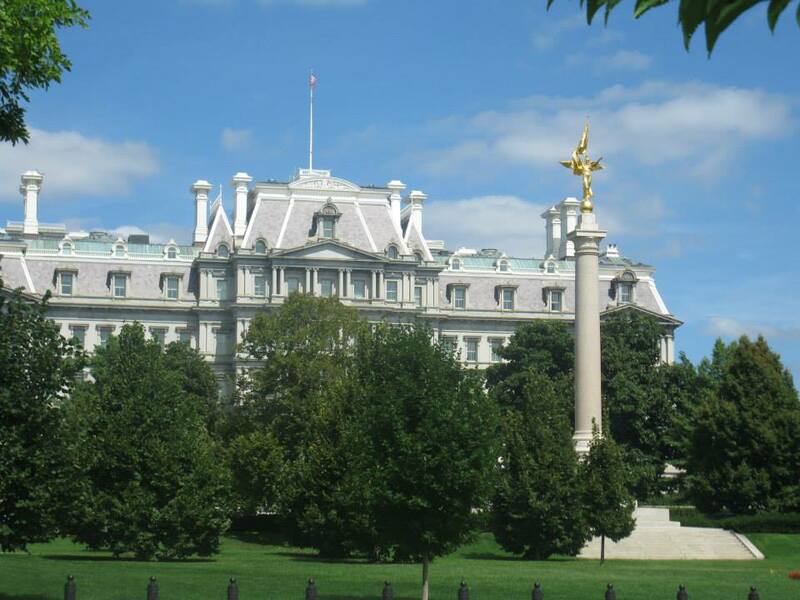 It currently houses the Office of the Vice President, and the National Security Council, among others. We have the obligatory photo session with the White House behind us, and head off in search of the White House Gift Shop. This is as close are we going to get to a visit of the White House. Unfortunately we can’t find it. We probably walk past it several times, but finding lunch soon becomes more of a priority than finding a White House fridge magnet. 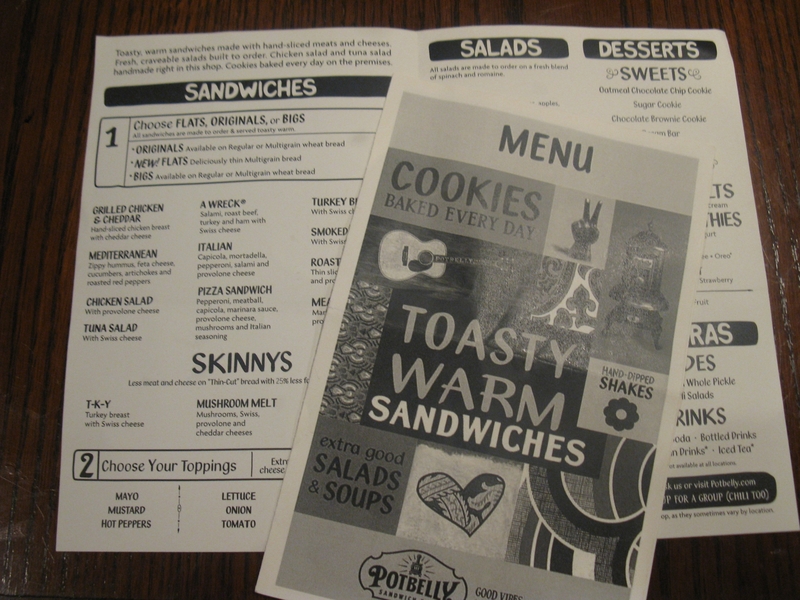 The Potbelly Sandwich Shop seems popular and we soon take our place by the window. I’m still having accent issues though. Something is said with a smile about my Calexico t-shirt, or at least I think that’s what was said. I nod, hoping it’s an appropriate response. This starting to remind me of needing subtitles to watch The Wire. I agree to everything they suggest for my sandwich because I can sense a crowd building up behind me. It’s probably not a combination that has ever been served before, but it tastes fine. In the week we have in Washington, I’m hoping to see many famous landmarks: the White House, the Capitol, the Washington Monument, the Lincoln Memorial, the Roosevelt Memorial, the Jefferson Memorial – not a lot for kids there. 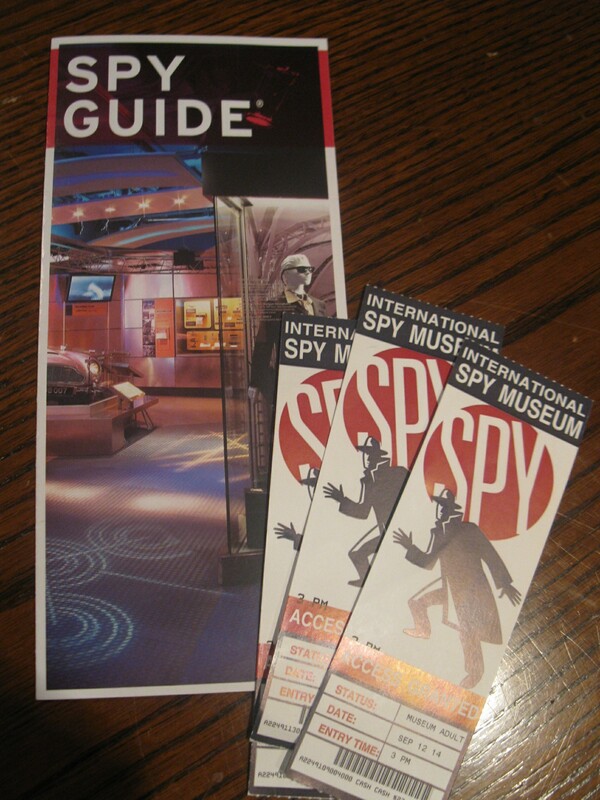 I’m hoping they’ll get a kick out of the International Spy Museum. We’re required to take part in some corny identity game, which both boys and adults soon forget. I don’t think it’s needed, as the museum itself has many fascinating exhibits, more than enough to hold the interest of both adults and kids. There’s a lot of original spy equipment from the KGB era – umbrellas that kill, lipsticks that kill, tobacco pipes that kill. There’s even a shoe phone – maybe Maxwell Smart was onto something. There are also historic examples of the use of invisible ink, and the history of espionage. The museum finishes with a temporary exhibit of James Bond memorabilia, but it’s not as impressive as the real thing. It’s an insight into a world that must still be thriving, and one day today’s toys that kill may one day be on display. I’m glad we made it here; it’s a very comprehensive museum and definitely recommended. This entry was posted in Travel and tagged Calexico, Eisenhower Executive Office Building, Harry Truman, Mark Twain, metro, Pentagon, Potbelly, Spy Museum, United States, Washington DC, White House. Bookmark the permalink. Sounds like a fun time! I’ve never been to the spy museum. I’ll have to check it out next time. Hi Jen – definitely! It was much larger than we expected with some fascinating exhibits. All three generations on our visit really enjoyed it. 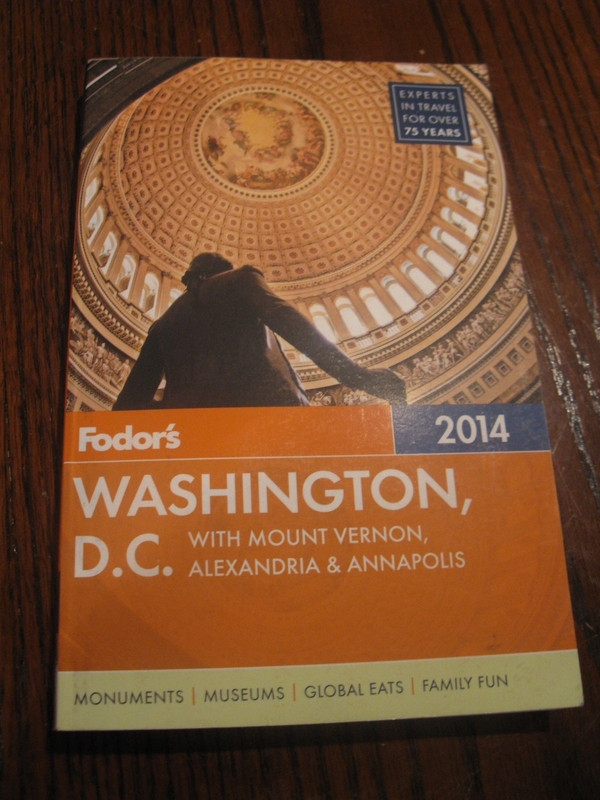 It’s not cheap though, and with the Smithsonians being free, that can’t help the visitor numbers.